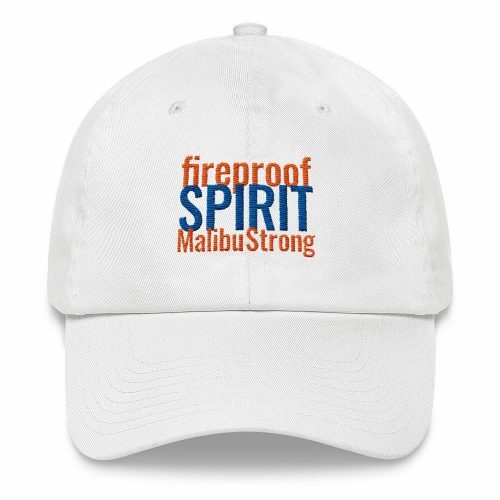 This unstructured, 100% chino cotton twill, 6-panel hat has low profile with an adjustable strap and curved visor. 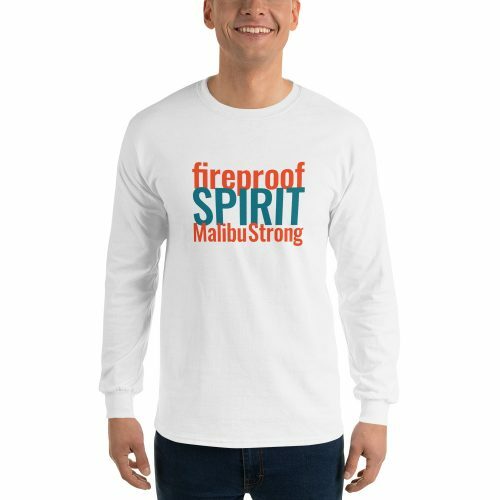 The embroidered imprint reflects the resilience of the Malibu community coming together in the face of the devastating 2018 Woolsey Fire. 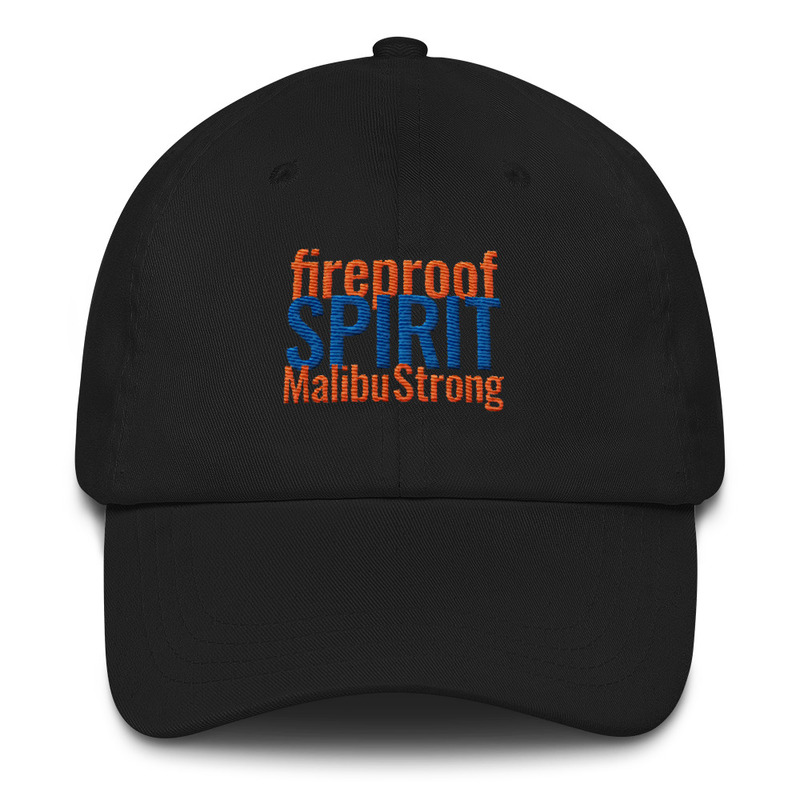 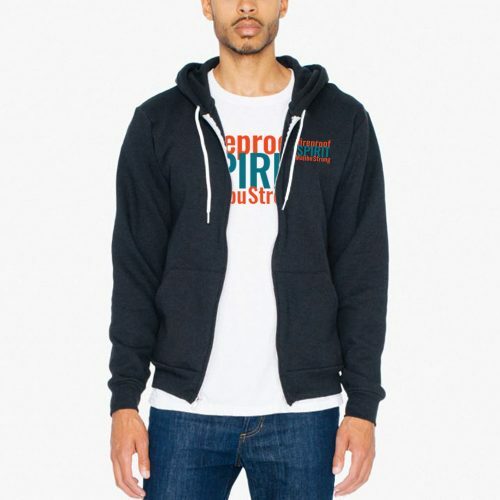 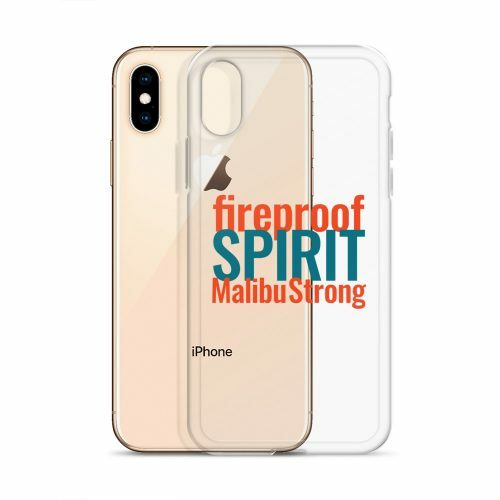 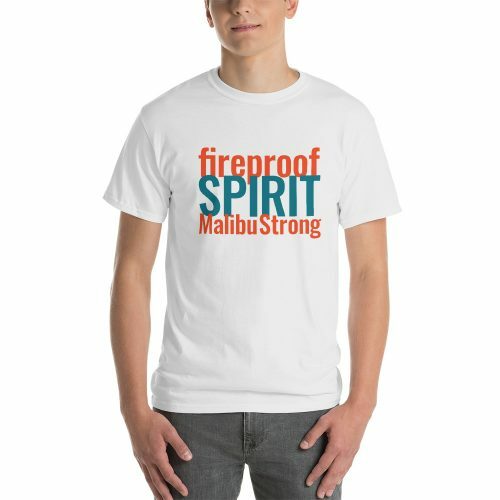 We’re funding charities to support the victims with the profits from the sale of all items in the Fireproof Spirit Collection.